Sushi is demanding to prepare and challenging to eat using chopsticks. In order to roll your sushi, you need sheets of nori (dried seaweed), lots of sultry sushi rice, fresh fish and the supplementary stuffing of your choice. Likewise, training is difficult to deliver and even harder to design. A successful training needs a number of things, such as choosing the right setup, selecting an attracting topic, spicing it up with related information, garnishing it with some fresh exercises, and of course, selecting the appropriate activities. Spreading the cooked rice over the sheet of nori should be done meticulously, leaving room in the center for the core ingredients. After adding everything you need, roll it all up using your makisu (a sort of bendable bamboo mat) as a guide and slice it into tasty bite-sized portions. For your training you should use a similar pattern: you distribute your valuable information into the training course leaving room for exercises, activities and breaks, and then you wrap it all up using the right time and content before dividing it carefully into tasty bite-size deliverables. The Itamae is a cook, or a chef in the Japanese cuisine that has mastered the art of making sushi. In Japan, becoming an itamae of sushi requires years of training and apprenticeship. Typically, after spending approximately five years working with a master itamae, the apprentice is given their first important task related to the making sushi: preparation of the sushi rice. The trainer should be a subject matter expert in the topic of the training. The trainer should not only possess deep knowledge and hands-on experience in the subject, but also the right behavior and approach to build a good relationship with the attendees. This right approach comes only with experience and a thorough understanding of training values. Sushi fish is the core component; it includes many types of sea food such as sea bass, tuna, mackerel, blue marlin, swordfish, yellowtail, salmon, trout, eel, abalone, squid, clams, ark shell, sweet fish, scallop, sea bream, halfbeak, shrimp, flatfish, cockle, octopus and crab. Establishing training content is the cornerstone of a successful training. The content has to be carefully prepared, always focusing on the right results. Good content is concise, focused and valuable. The nori (dried seaweed) has a strong and distinctive flavor. It is used chiefly in Japanese cuisine as an ingredient to wrap rolls of Sushi. Training is more effective when using the right approach For an effective training session; you need to cover all learning styles: visual, audio, and kinesthetic. Like the nori your approach should cover all the subjects and match your audience’s learning styles. Sushi knives are extremely sharp, hand-crafted for a specific task, and require detailed instructions to use and maintain. Most sushi knives are made of high-carbon steel (not stainless steel). Using tools, especially visual aids and technology when done right, helps participants visualize your words and enables them to learn and remember what was said for a longer period of time. A Sushi plate is not complete without Condiments and additional ingredients such as soy sauce, cucumber, avocado, daikon radish sprouts, or other assorted vegetables. These additional ingredients will take the sushi dish to a higher level. Training activities like individual and group exercises, role plays and simulations are essential during a training session if you want an unforgettable learning experience. Wasabi is a spicy paste made from ground roots. It has a strong and spicy flavor. Wasabi has medicinal properties and is said to prevent heart disease, cancer, and osteoporosis. It is used in food and particularly in sushi as a strong spice. Training courses can be enhanced with strong quotes and references. The use of experts references, best practices and methodologies add credibility to your topic and can elevate the flavor of your information. Gari or young ginger is thinly sliced and often served and eaten after sushi. It is simply called pickled ginger. In Japanese cuisine, it is considered essential in the presentation of sushi. Pickled ginger is used to cleanse the taste between different bites of sushi, or alternatively, it may be eaten before or after the meal. I’ve personally attended lots of training courses where no or few breaks were given. I don’t need to tell you how I felt in the end. Do you want to exhaust your guests and have them regret attending your training? Make sure you have short breaks every hour or hour and a half. Without these small breaks participants will not be able to digest new course elements. Sushi Meshi, as Japanese rice is commonly called, is best known its stickiness. Cultivated for over 2,000 years, rice was Japan's most popular nutriment. Amazingly, if you don’t provide your attendees with snacks and drinks to lift their energy up, you will lose their attention. Make sure everything is ready especially coffee and tea to help your audience reach physical and mental satiation. Whether you like sushi or not, it has a long history. Sushi was introduced to Japan in the second century, and nowadays it has become an ambassador of Japanese culture and cuisine. To master Sushi preparation you must become an Itamae who has proven himself worthy for many years. The next time you deliver a training course you should be as prepared as a diligent and vigilant Itamae. Mr. Charles Tawk is a senior consultant with Meirc Training & Consulting. 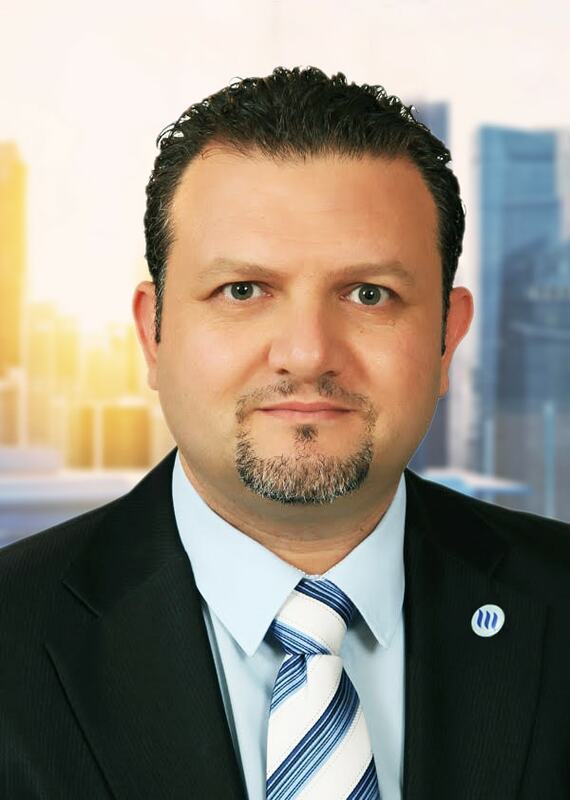 He is a graduate of laws from the Lebanese University, a certified training practitioner (CTP™) from the Institute of Performance and Learning, Canada and is certified in occupational health and safety from Nebosh, UK. In addition, Charles earned specialized certifications in health and society from Harvard University, globalization from Texas University at Austin and international human rights from Belgium’s Louvain University. Charles is a senior certified professional by the Society for Human Resources Management (SHRM-SCP).